1. 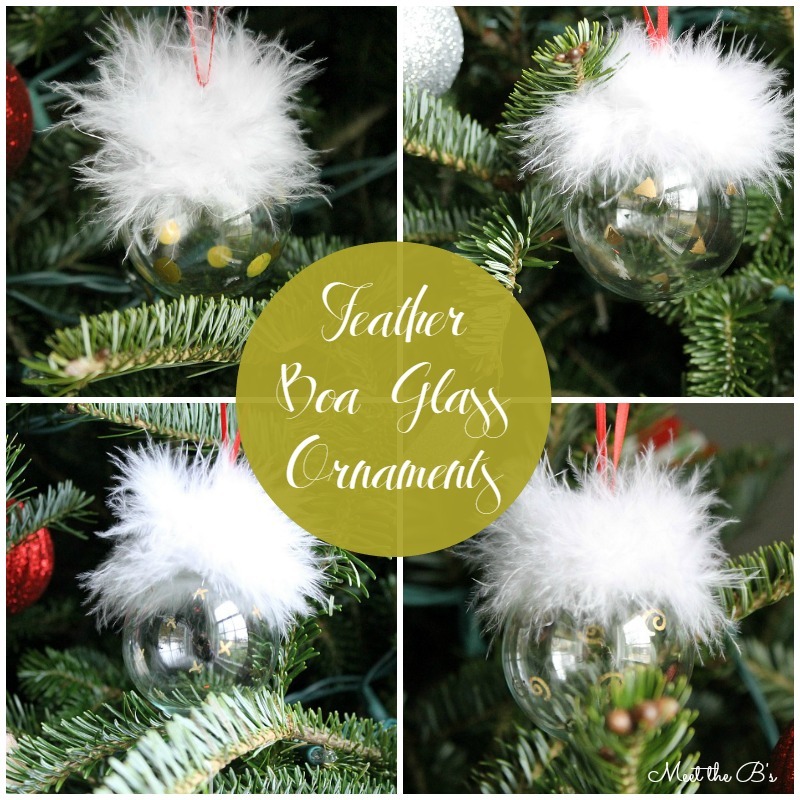 Purchase some clear glass ornaments (or plastic if that's your preference!). 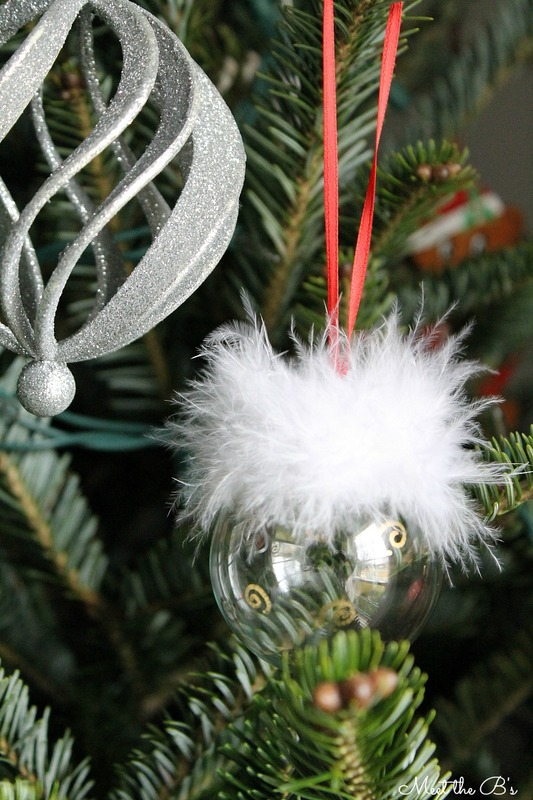 Clean the surface of the ornament so that there is no dust or finger prints that might mess up your design. I used a paper towel sprayed with Windex. 2. 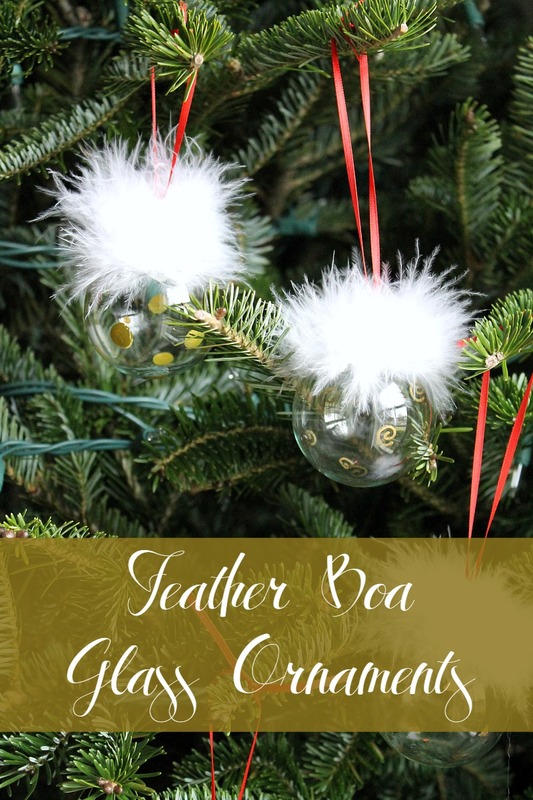 Use a hot glue gun to glue a short length of feather boa around your ornament. I wrapped my boa around twice and used three or four dots of glue on each ornament. 3. Use your metallic sharpie to create a design. I made four different ornaments, each with a different shape (circles, triangles, swirls, and crosses) which you can see in the last photo on this page. 4. Use a small ribbon to create a hanger for your ornaments. I simply tied a knot at the top of the ribbons. I love how they turned out, although my husband described them as looking "scandalous." What a goof :) They add a little bit of glam to our tree and bring out the gold and white accents throughout our holiday decor. They were really easy and quick to make. They are also easily customizable to any colors and designs that you like! 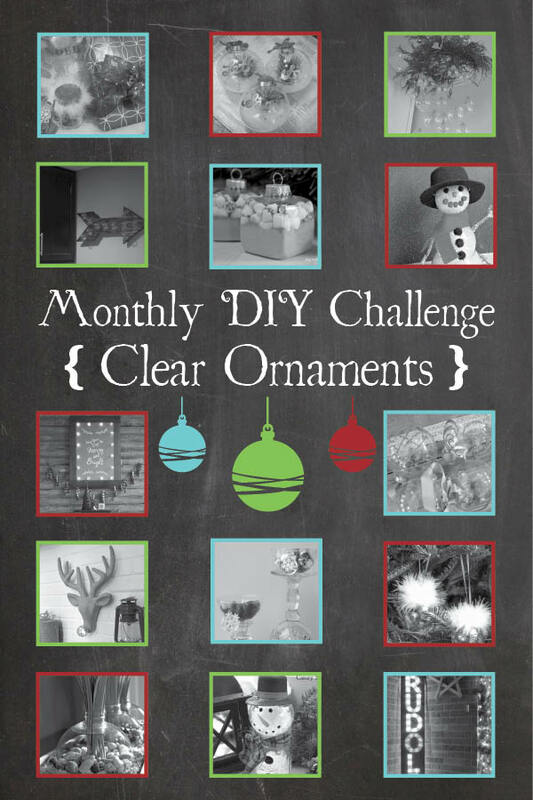 Ready to see 13 more amazing clear ornament projects? Hop on over and visit my friends! Awww, these are so precious! Love the fun feathers and the gold. These would make great gifts for girlfriends! How fun and festive are these! Super cute! Love the Boa feathers! I LOVE the features added to the top! So simple and cute! It's no secret I love furry things, so obviously I LOVE these :) Awesome job, Nicole! Aw, Nicole, these are so cute! I love the sassy feather boa addition - it makes them so fun and whimsical! Perfect gift, too! SO pretty Nicole! Nothing says glam like some feathers and gold!!! Thank you Kristi! Everyone needs a little glam in their lives! These are so cute and glammy!! Love it! Adorable! They have such personality! Thanks for sharing this post at On Display Thursday! Don't forget to stop by to see if you were featured! We'd love to see you again tonight at 9 pm central, and in the new year at 6 am Thursdays! Happy Holidays!